The newest fragrance by Jean Louis Scherrer is named One Love, launched in March 2015. The fragrance is inspired by Parisian women and is dedicated to all those who possess a natural elegance and sensuality. The elegant composition is warm and sensual, leaving a velvety trail on the skin, covered with a powdery green perfume veil. The fragrance opens with a combination of bergamot, lemon, violet leaf, mimosa and saffron. Its warm, seductive heart that includes iris, lilac, magnolia and woods is laid on a base of vetiver, oak moss and ambrette seed. The Jean Louis Scherrer Jean Louis Scherrer One Love 100ml EDP Women's Perfume was added to the Women's Perfume category in February 2018. 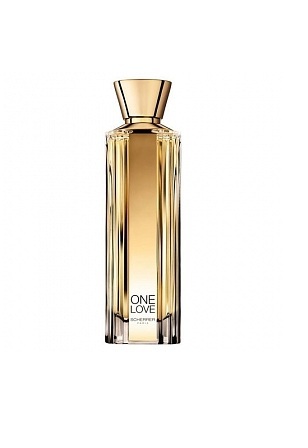 The lowest price GetPrice has found for the Jean Louis Scherrer Jean Louis Scherrer One Love 100ml EDP Women's Perfume in Australia is $93.88 from eSavings Fresh Scents. Other merchants who stock it are eSavings Fresh Scents, Galaxy Perfume.